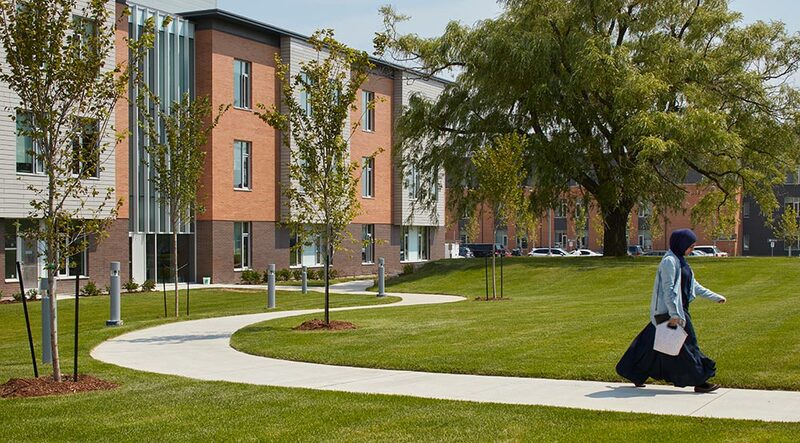 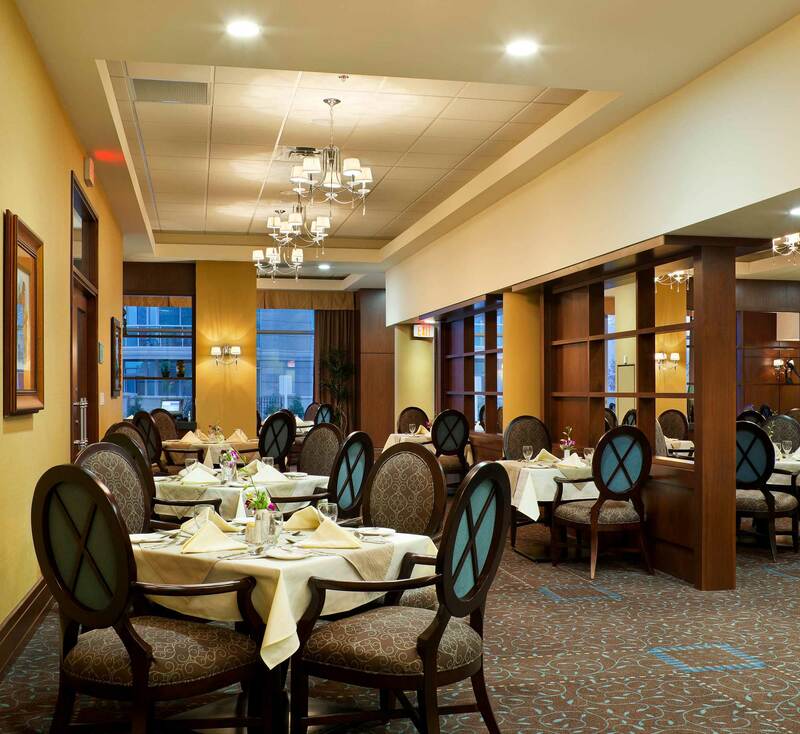 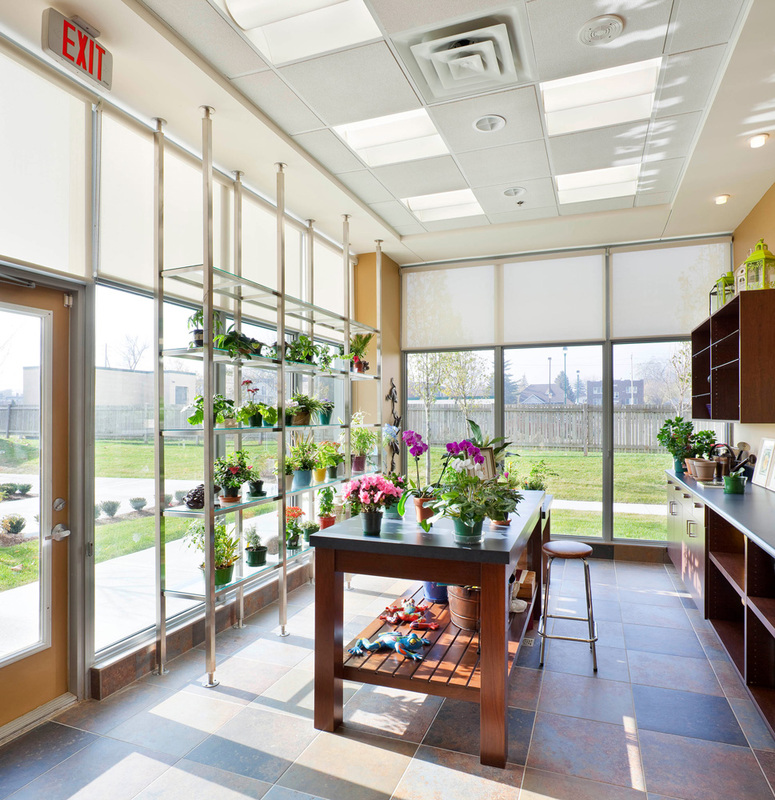 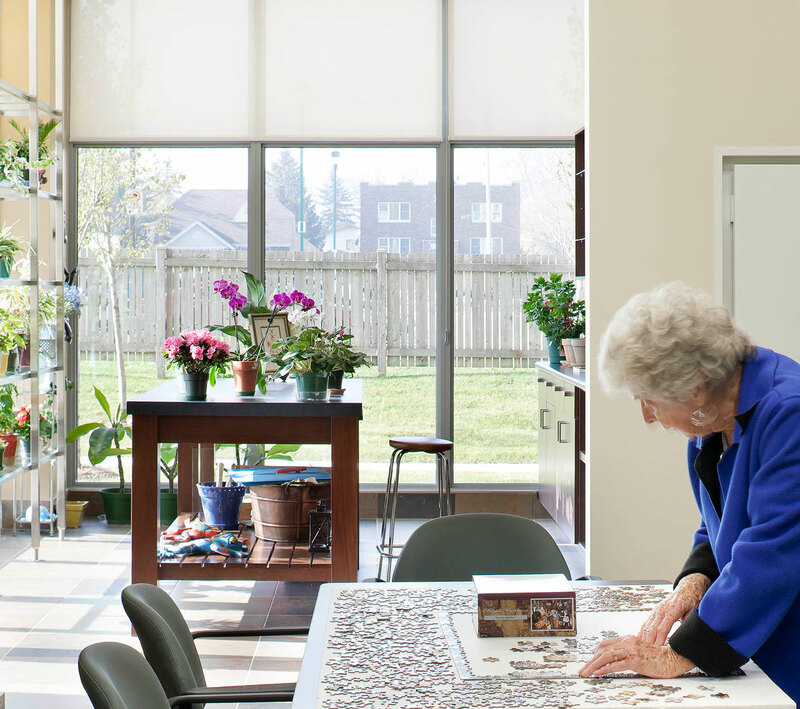 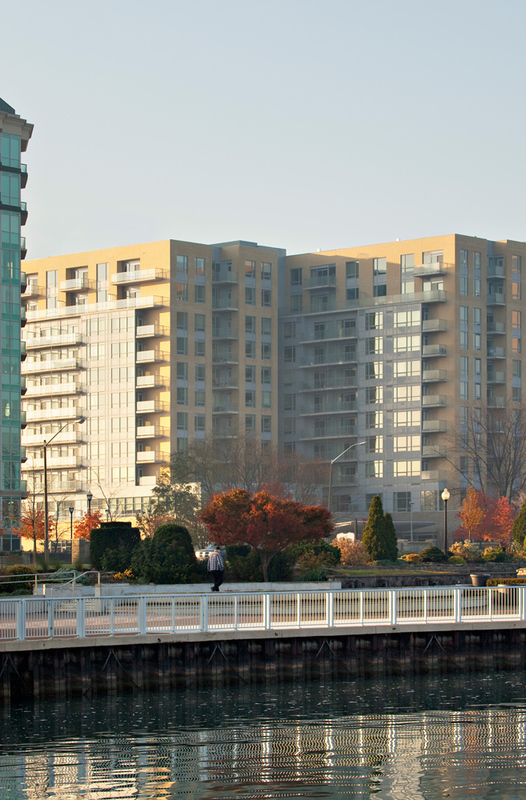 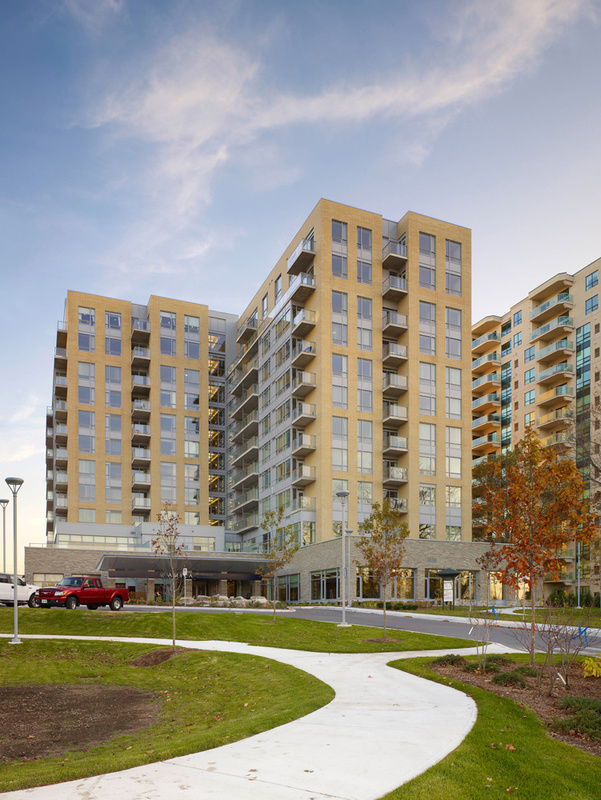 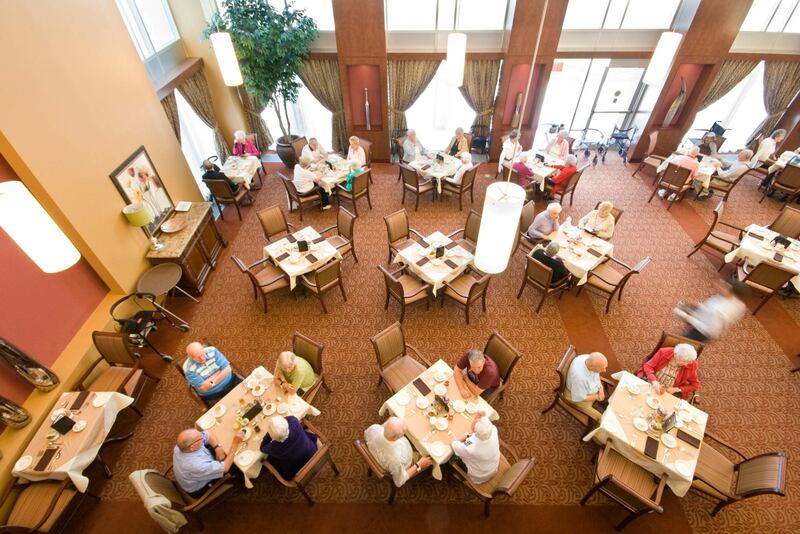 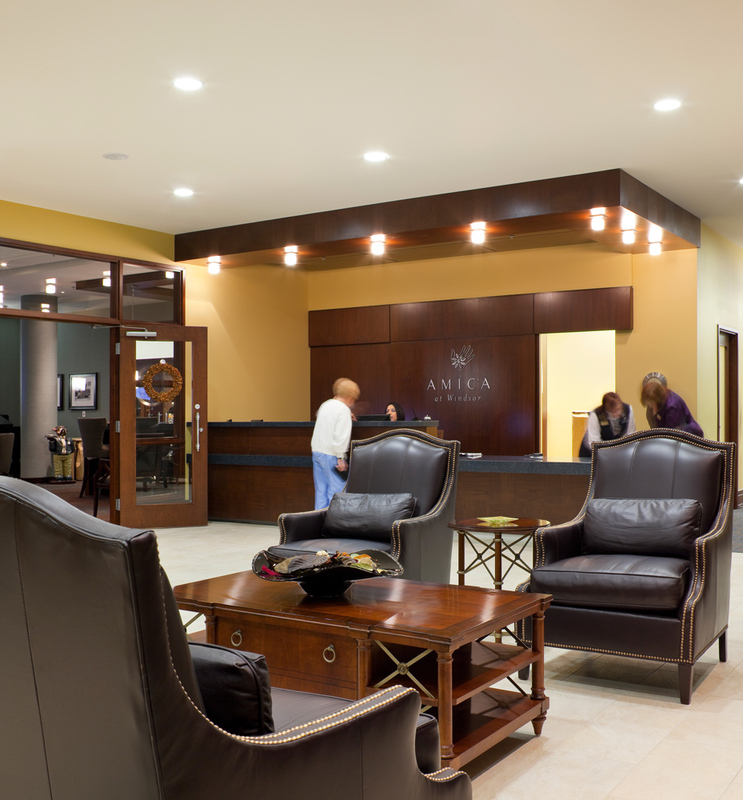 Amica at Windsor is an all-inclusive, service-rich retirement community overlooking the Detroit River. 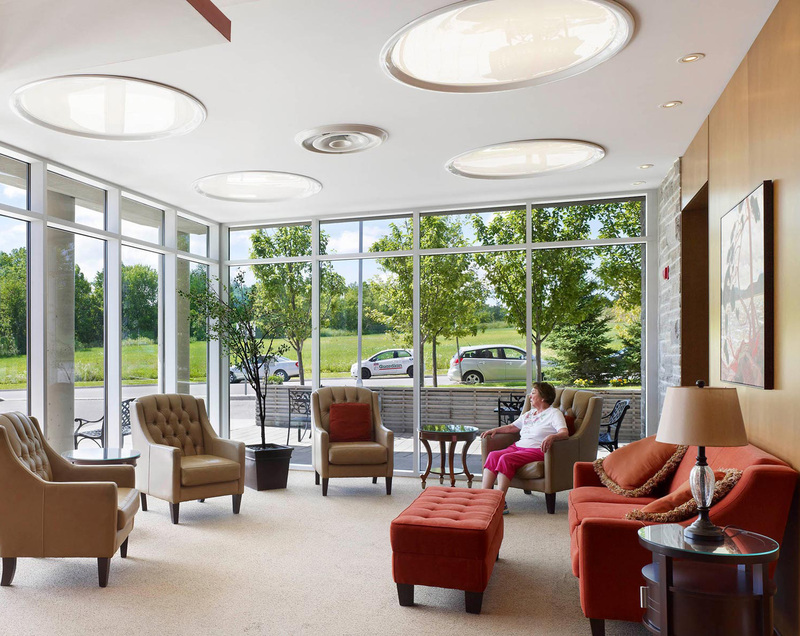 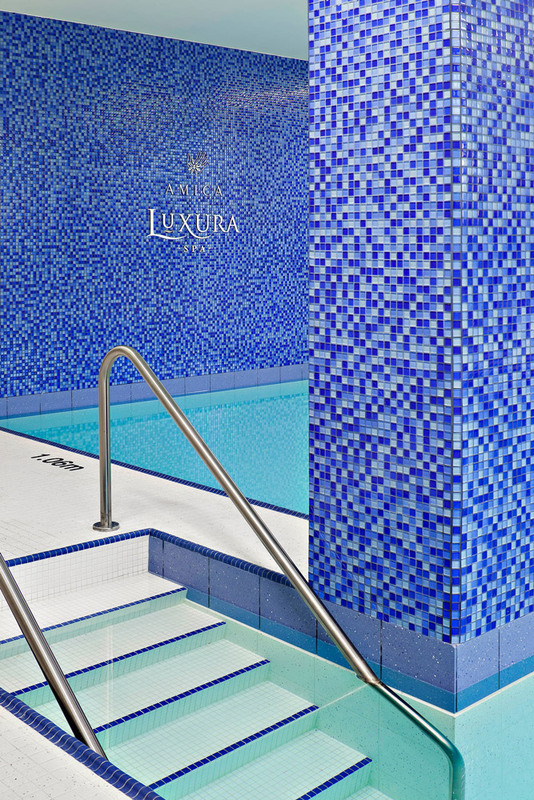 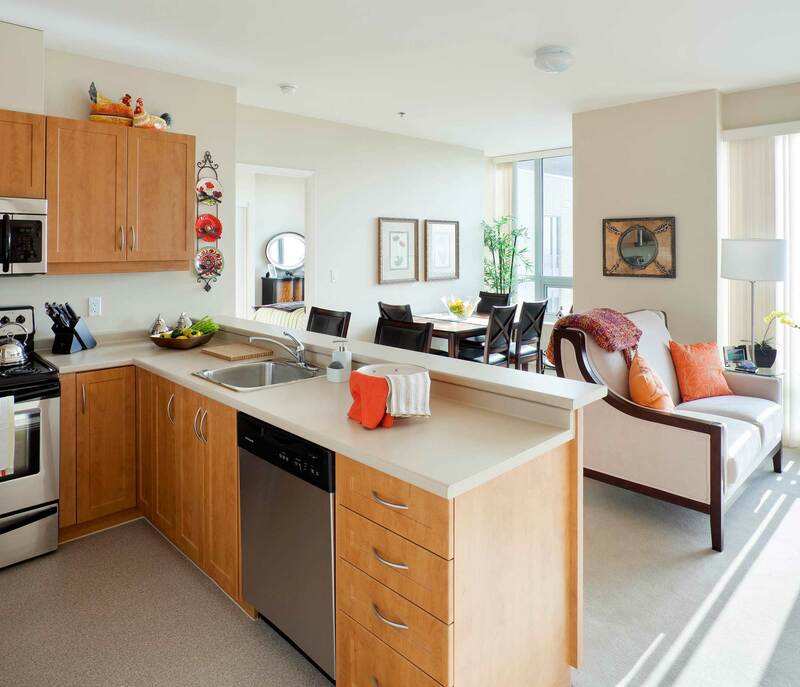 Owned and operated by Amica Mature Lifestyles, the building is resort-inspired and offers residents both picturesque views and urban conveniences. 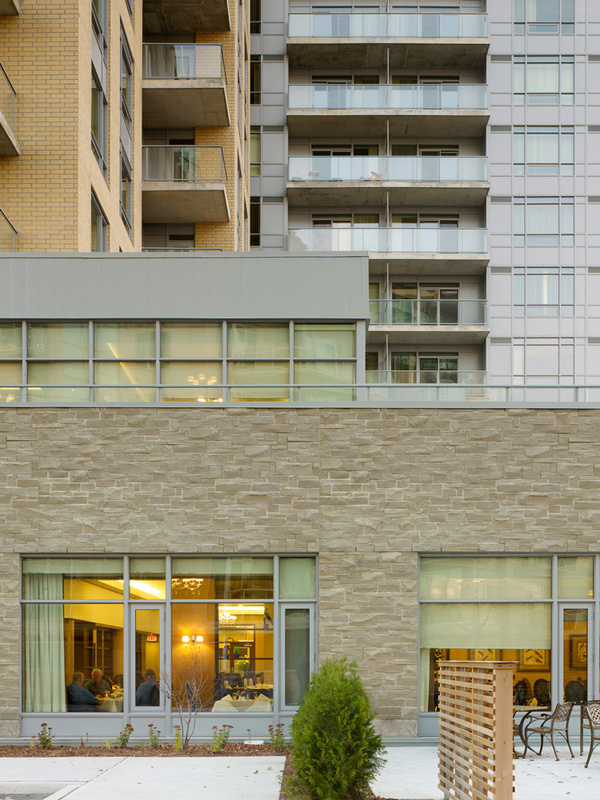 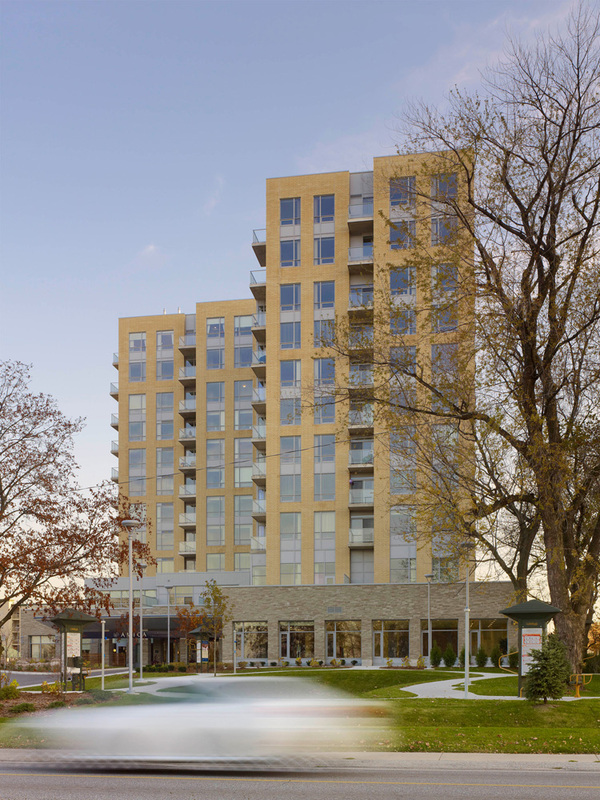 The 11-storey high-rise accommodates a total of 177 independent and assisted living units along with a full suite of amenities, including a full-service salon, spa, wellness and vitality centre, dining room, fireside lounge, English-style pub, tea room, theatre, games room, indoor pool, rooftop terrace, and private penthouse dining suite and library. 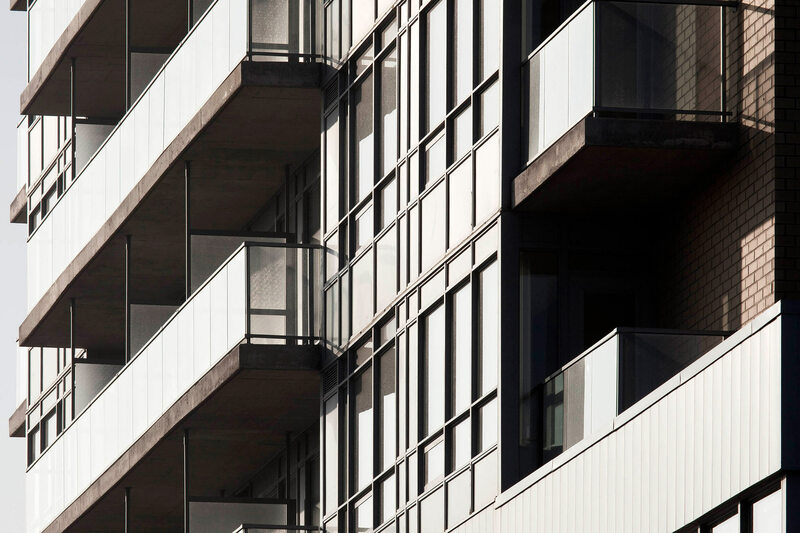 The building’s slender tower form allows both the residential units and amenity spaces to take full advantage of the riverside setting and enjoy stunning views of both the water and the city without blocking similar views from neighbouring buildings.